The very popular wire wrap headband is a one size fits all headband that once secured can be individually styled to suit your own unique aesthetic. 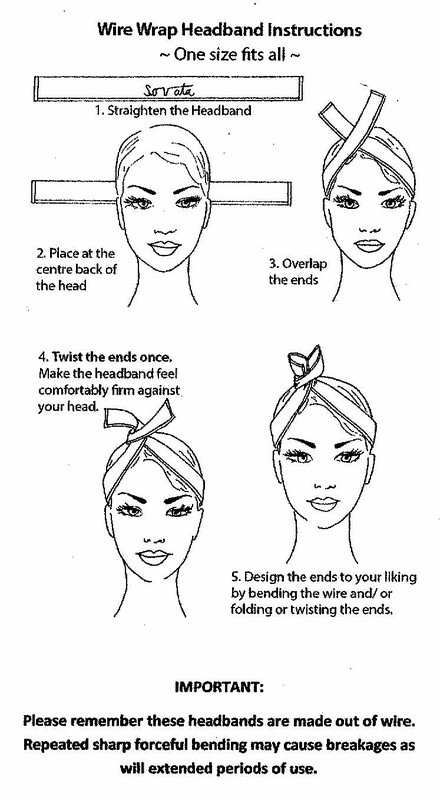 These headbands are perfect to dress up any look in a quirky fun way or to keep you hair out of your face. Either way it is a great accessory an you"ll always get a compliment wearing it.